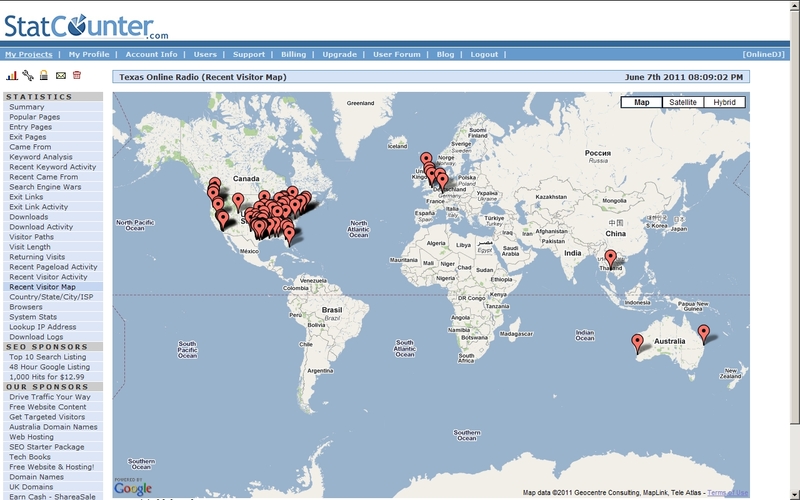 This visitor map is for June 4 through 7 @ 7pm CDT. 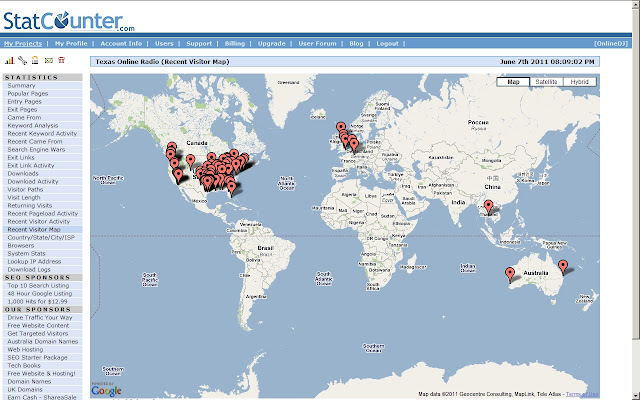 This is the page view activity for Texas Online Radio reflecting 60 days online. Overall average since coming online 175 page views per day. 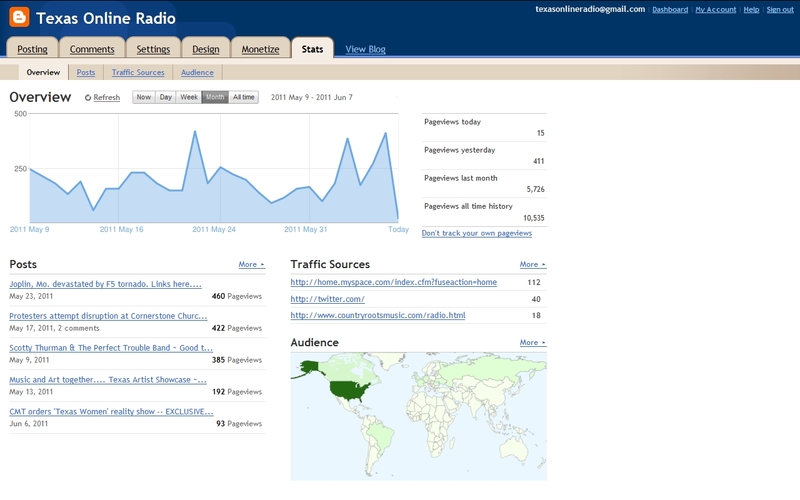 Today 6/7/2011 is the most active day at 411 page views.